Kate B. Reviewed by Kate B. Loved putting it in the bath with my son who can’t use other bath bombs. He loved it and it helped his skin so much!! These smell amazing!!! Loved them! I have dry, sensitive skin, and I have been fighting with allergies. My skin is itchy all the time, but these bath bombs help me feel so much better! They smell nice and leave my skin super soft, too. 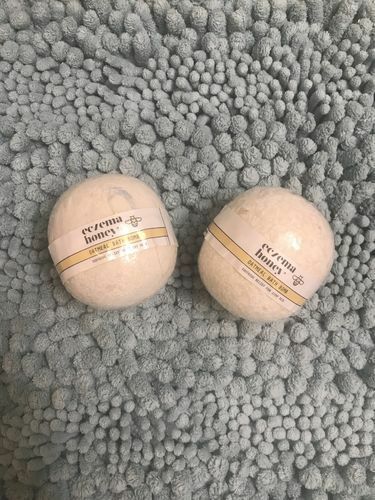 casey w. Reviewed by casey w.
Best bath bomb I’ve ever used! I love how creamy it leaves my skin feeling!